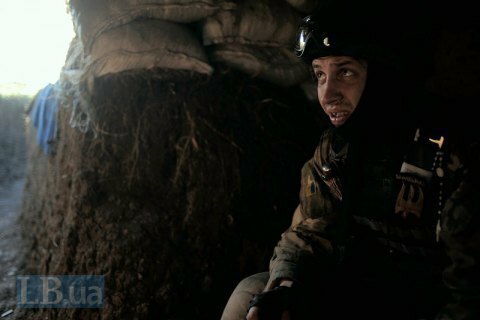 The antiterrorist operation (ATO) troops had to return fire on three occasions. Pro-Russian militants have increased the number of fire attacks against the ATO troops in Donbas up to 35, the ATO press centre has said on Facebook. The separatists continued to use weapons banned by the Minsk agreements. "In particular near Avdiyivka they launched four attacks with 82-mm mortars, two near Novhorodske and one near Novozvanivka. The shelling of strongpoints in the direction of the above mentioned positions continued with the use of small arms and grenade launchers," the HQ said. Shooting attacks against the ATO positions were also registered near Opytne, Shyrokyne, Krasnohorivka, Stanytsya Luhanska and Novotroyitske. Near Stanytsya Luhanska, Ukrainian troops had to return fire with small arms on three occasions. As reported earlier, two Ukrainian servicemen were taken prisoner near Horlivka.